Ah, spring. Time to shed your winter layers and refresh your wardrobe with a dose of warm-weather newness. If you're looking for a way to do so without completely abandoning your budget, well, you've come to the right place, friends. 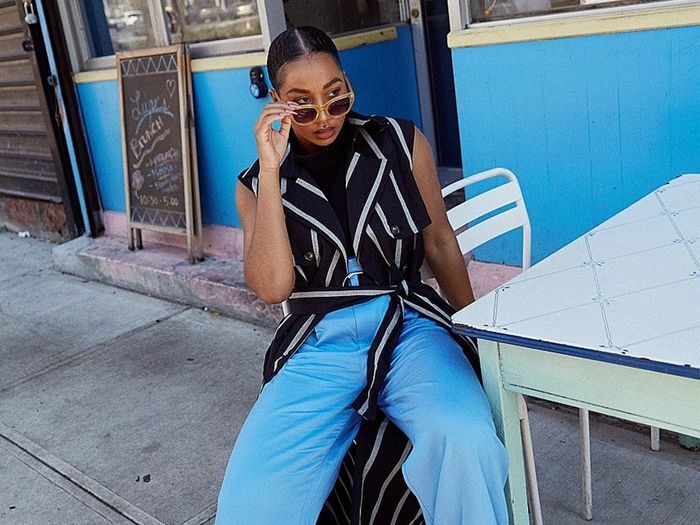 We just dropped a fresh round of spring-ready pieces at Target (like we do every month), and this collection is filled with pieces that hit on some of the coolest spring trends. Ready to usher in some new springtime pieces to your wardrobe? Scroll down to see and shop all the trends in our new arrivals for April or head to Target stores to check out the designs in person. Beige is the trend that's already winning spring 2019. Try out head-to-toe earth tones by mixing varying shades of camel, beige, and cream for a neutral and intriguing (read: not boring) look. Gingham is a springtime favorite, so there's no surprise why the print is rearing its head again this season. Update your staple pieces like a shirt dress or trousers in the print or try it out via our favorite piece from the collection, the Gingham Square Neck Top. Suiting separates are getting a major overhaul this spring. We reinvented classics like the button-down shirt and Bermuda shorts with a cool minimalist take. Trust us, you'll be excited to wear these pieces way beyond the office. Warmer weather is our cue to shed our tougher winter silhouettes and embrace daintier details, especially ruffled hemlines, which we designed on everything from jumpsuits and dresses to tops and skirts in this collection. Next, the dress trend you'll see everyone wearing for spring is only $35.